Royal Philips has agreed to acquire US medical device firm Electrical Geodesics, which will help to establish integrated neurological imaging, mapping and therapy guidance portfolio. Based in Eugene of Oregon, Electrical Geodesics is engaged in the designing, development and commercialization of various non-invasive technologies to monitor and interpret brain activity. As part of the deal, EGI stockholders will secure 105.4 pence per EGI share that could be valued at around £29m. Electrical Geodesics produces EEG hardware, software and acquisition sensors, which are in line with Philips’ existing portfolio of imaging technologies and advanced informatics for neurological applications. The combined portfolios will allow Philips to provide solutions to treat neurological disorders such as stroke, epilepsy, traumatic brain injury and Parkinson’s disease. 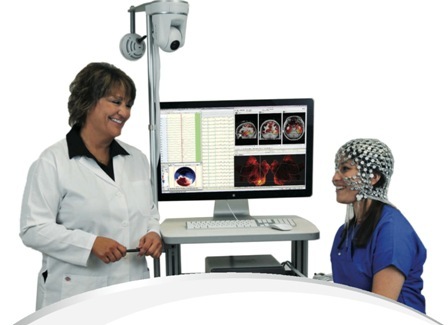 GI’s EEG platform technology enables to collect brain activity data with the support of many electrodes than conventional EEG products, helping to provide more precise levels of information. Subject to customary closing conditions, the deal is expected to complete in the third quarter of this year. Philips neuro diagnostics business leader Joe Burnett said: “This acquisition will enable Philips to provide an integrated neurology solution comprising diagnostic imaging and clinical informatics to assess brain anatomy and physiological processes, and EEG mapping tools from EGI to measure electrical brain activity. In May, Philips also agreed to acquire another US firm Respiratory Technologies, which offers an advanced airway clearance solution for patients with chronic respiratory conditions such as chronic obstructive pulmonary disease (COPD) and cystic fibrosis. Image: Electrical Geodesics develops and produces a range of non-invasive technologies to monitor and interpret brain activity. Photo: courtesy of Koninklijke Philips N.V.